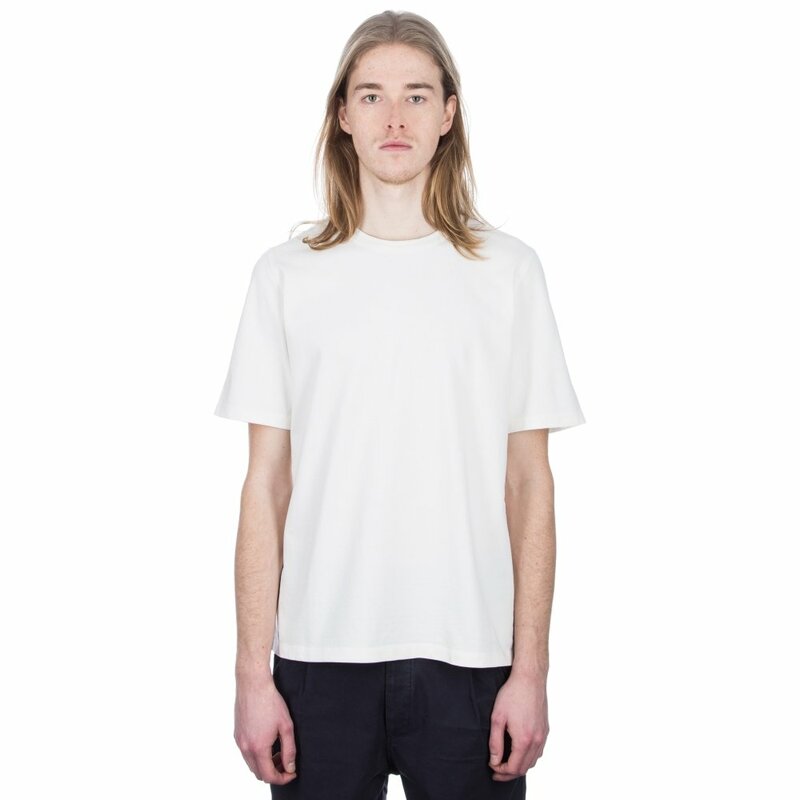 Folk Panel Stitch T-Shirt (White Washed Sand) - Consortium. Regular fit men's Folk Panel Stitch T-Shirt in a White Washed Sand midweight cotton jersey, with a ribbed neck, set-in sleeves, straight hem and lower back panel in a woven cotton linen blend featuring contrast stitch embroidery. * Folk Panel Stitch embroidery on back panel. * 100% midweight cotton jersey. * Cotton and linen blend stitched panel.